ABOUT US – Bridges Outreach, Inc. In September 1988, Geoff and Ginger Worden made their first of many Friday night trips to carrying brown bag lunches, hot soup and coffee to the homeless people living under the Brooklyn Bridge (hence our name) and on the streets of lower Manhattan. Today over 2,600 volunteers help us deliver more than 65,000 meals to New York, Newark and Irvington. On Fridays, we open our doors to Summit neighbors in need. Bridges offers volunteer opportunities to adults and high school students to make a direct impact on our homeless friends that are often life changing experiences. In March 2014, Bridges established Project Connect in Newark. At Project Connect, professional case managers work with homeless clients individually to create an attainable set of goals that will lead to better health, and ultimately housing, a job and independence. In Newark, our weekly street outreach and services at Project Connect have a symbiotic relationship. Each enhances the other. 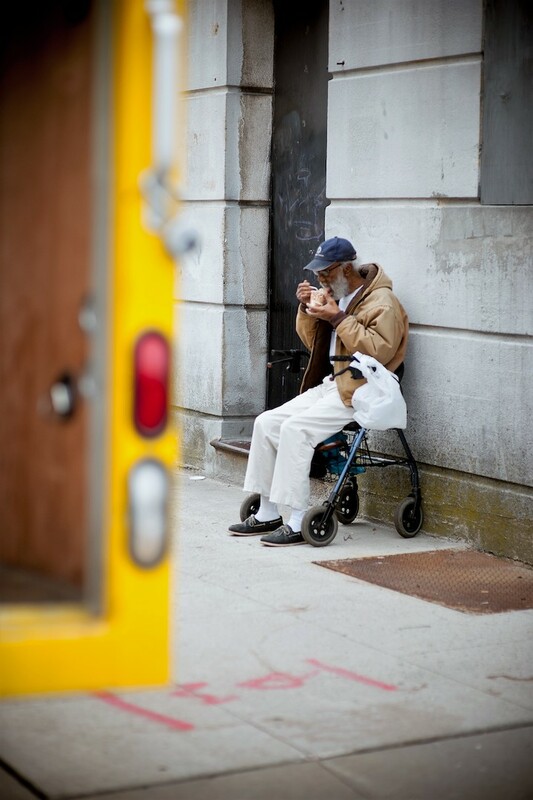 In this way, we are continually strengthening our relationships with the homeless. Bridges connects the housed and homeless to establish relationships that lead to greater acceptance and understanding, nurse social and economic growth, ailment and wellbeing. The elimination of the social and economic divides between the housed and the homeless. That first night, armed with about 20 bagged dinners and two thermoses — one containing soup the other coffee — we headed for Wall Street. Block by block we traversed the lower tip of Manhattan looking for the homeless. They were around us during the day, but of the many million homeless Americans — 80,000 in Manhattan alone — we couldn’t find one. Sometime after midnight we reached the Brooklyn Bridge. “There’s someone,” I said, stopping the car. With bagged supper in hand, I approached a mound of newspaper. “Would you like a sandwich?” I called to one end of the mound. Then, not knowing which end might have ears, I addressed the other, “How about some soup?” At that point, the end first addressed stirred and two hands pulled back the newspaper, revealing a sleepy and very startled face. “That’d be nice,” said the face. This time my new friend howled with laughter. “That’s trash!” he said. And he was right. But at that moment, I wondered how it had come to be that at night in the shadows of our great cities, it’s difficult to distinguish between trash and human beings. When we got ready to leave, they thanked us profusely and showered us with “God Bless You’s” – the most common words we hear on our Runs. “And God Bless You” we responded. “We’ll see you next Friday!” When we did in fact return the next Friday, they were amazed. When we were still coming in December, we had made real friends and new ones all over. Soon friends started to join us on weekly Runs and so it is that Bridges was formed and aptly named for the place it began — under the Brooklyn Bridge.